As the launch date of the Nintendo Wii U with accompanying GamePad draws near, the big question on everyone’s mind is, how will the Wii U fare against the PlayStation4. (Wii U Vs PS4) Nintendo assures us that the Wii U console, set to be launched November 18 in the United States and November 30 in the UK, will have an extended lifespan. Furthermore, they’re not worried regarding the likely launches of the new game consoles from Microsoft and Sony. Well, kind of. Reggie Fils-Aime, president of Nintendo America told The Seattle Times that he and his colleagues fervently have faith that Wii U will be a major part of the market in the foreseeable future. He said that because of their fantastic graphics and excellent online presence, he expects the Wii U to have an exceedingly long life, highly supported by third party developers. 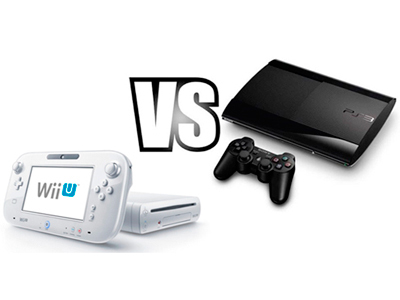 Fils-Aime says that the Nintendo Wii U would definitely be able to hold its own share of the market against the PS4. “However,” he added, “it depends on the tricks that the developers at PlayStation have in their arsenal. When we find out what those are, we will be able to defend against them.” Nintendo is definitely not nervous about the rumored AR glasses Microsoft might be offering. Fils-Aime pointed to the lack of success with 3D TV’s that require goggles. He says that any attempt by Microsoft in that arena will be met with the same apathy. Even though the PlayStation3 is currently hitting its sweet spot, with more good days in the future, Sony is not sitting by complacently. In fact they have set a release date of approximately 11 months after the release of the Wii U. Because the release date is a year away, the specs for the PS4 are only speculated, but here are the current rumors. The CPU will be a Quad Core Power 7 at approximately 10 GHz. The upgradeable memory storage will range from 20 to 100 Gigabytes in an HDD/SSD format. The video ram is supposed to be 1 Ggigabyte, with another Gigabyte of RAM for graphics support. The display pixels will range from 480p all the way up to 1080p. It will support Blu-Ray with an 8x speed drive. However there have been rumors that Sony might give up the Blu-Ray in favor of HVD. But HVD drives are prohibitively expensive, costing a few thousand dollars, and the disks themselves can cost as much as $120. So it is unlikely that Sony would go the route of the HVD drive. Furthermore, Sony invested a lot of funds to develop Blu-Ray in the first place. There have been discussions about whether the PS4 would use a SSD drive, like the Xbox 360 S, or a more traditional hard drive. Now that Sony has bought Gaikai for approximately $380 million, they might be developing a quicker, tinier solid-state drive. SSD technology does not involve moving parts, and thus is not as affected by physical jostling. SS drives are faster, but hard drives can store vastly more data, and do it cheaper, too. If Sony chooses a hard drive configuration, I expect it will be twice the size of the one in the PS3. If, however, Sony utilizes Gaikai’s Cloud, then a solid-state drive might be a realistic option. The cloud streams games by a browser, allowing users to play on almost any kind of device. The advantage is that the device doesn’t have to be as powerful, because the servers are doing all the work. The disadvantage is that you need a high speed connection to make it work, and if the connection slows down, then the gorgeous HD content becomes a pixelated mess. 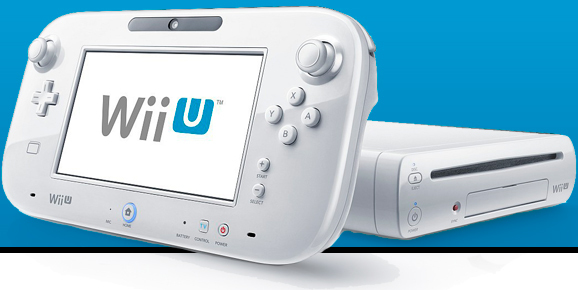 The Nintendo Wii U will cost around $300 USD, for the Basic White set with the 8 GB console. The Deluxe Black set with 32 GB will list for around $349 in the U.S. What will the PS4 cost? Well when the PS3 came out, it was a massive $630, or about 425 pounds, making it the most exorbitantly priced console of all time. Most of that was because of the cost of the Blu-Ray player, but no one is expecting Sony to discontinue its use. So expect the PS4 to be somewhere in the neighborhood of $700, or about 500 pounds. 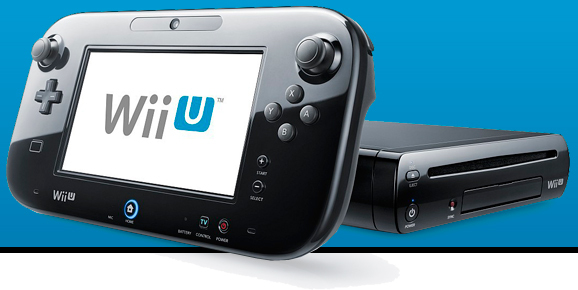 Given the known specs of the imminently due Wii U, and comparing them to those predicted to be in the PS4, the Wii U will be the premiere machine to own, at less than half the price of the PS4. We may have to wait until the PS4 launches before we really have a winner.